A few of my friends offered me some solid hate over my annoying advert post, so I changed the layout of SEO Book.com's homepage. The new home page places 3 posts above the ebook advert. Also if you have already seen a post on your computer the post title will be in a big fat black, which makes it really easy to see if there are any new posts at a glance. The first 3 posts are only teaser intro posts, which allows readers to select things that are interesting to them without having to scroll past long posts they are not interested in. The idea of the update was to be more reasonable and bloglike for regular readers, so they did not have to see my advert so often. I always thought that if people liked the site they might subscribe to the RSS feed, but many people still like to go back to read the site in its regular format. Ideally I would / could take the ad entirely off the home page, but moving it off to the site or removing it entirely would probably cut my income from this site at least 20% to 30%. I am still trying to think of a work around for allowing visitors to turn the home page ad off. I also have an ad free version of the homepage at www.seobook.com/blog/ if you prefer to go that route. I've never found your ad intrusive myself. It's a small price to pay for great posts. Have you tried featuring the advert in the right column? Personally, I think it would go best in the right column (along with your consulting blurb). That way you offer blog posts and your ad (albeit thinner) at the same level. The feed that comes into my Bloglines is nice because it takes me directy to the post, which has the ad underneath the one post. This works fine because I can read and not be distracted. Since the whole post is not displayed, I have to go to your blog to read the whole thing. You have several types of readers. New, sporadic and regular. Regulars likely have a feed. For new and sporadic, maybe all you need to do is provide instructions for options/choices, to guide them - esp. if they've bought the book or simply don't wish to. Some may really want the /blog version, while others don't care. I finally met Matt Cutts!! Thanks for thinking of what would make the best experience for your readers. Personally, I am happy to get all this great content for free. I think you should put your ad wherever it makes you the most money. Besides, I think the ad is a public service. I found your ebook through the ad, ordered it, and think it is really great! Just leave it as is. Since it works for your bottom line and your advice works for ours, I think we'll get over it. You aren't damaging your brand. Your most devoted readers develop ad-blindedness to it anyway over time (like w/ adsense blocks). I agree. 3 posts would really allow readers to select things that are interesting to them. I was just wondering what blog software you are using? Or is it a 100% custom designed blog? The reason I ask is because I cannot find a template (word press) to resemble my site and I am debating weather it will be easier to create a blog from scratch or to work on editing a template to look more like my site. This is a custom MovableType template. Give us a div.class on that ad and the core crew can block it in Adblock. I don't think it would cost you many sales and it would save your regular readers a lot of pain. 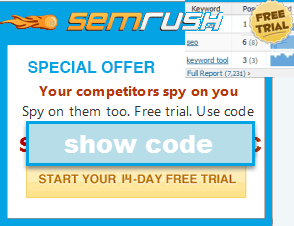 I've stopped reading seobook.com as regularly because of the ad. Forbes.com - Home to The Best Press Releases in the World!